The market for wearable tech devices is hotter than ever right now. Predictions from Transparency Market Research estimate growth of 800 percent from the time between 2012 and 2018. Meanwhile, Visiongain says the value of the global wearable tech market in 2015 will hit $16.1 billion. Fueling the growth, Visiongain says, is the fact that this year will be a breakthrough one for wearables and will help the market to finally achieve mass acceptance. Transparency Market Research also attributes vast growth in particular segments like healthcare and a growing awareness of one’s own wellbeing as a significant factor in the growth of fitness and wellness wearables. In line with this comes a demand for smartwatches. Companies across the globe are releasing versions of the arm candy promising to make managing our lives, schedules and communications easier. A few months ago I had a chance to review a new player in the game, COGITO Classic, from CONNECTEDEVICE. The smartwatch, which later took home the Golden A' Design Award, was easy to wear and once connected to my iPhone, alerted me about emails and texts and all I had to do was glance at my wrist to evaluate if the communication required attention. After successful backing and incorporating feedback from users, the COGITO is back – and better than before. New updates include a fancier look, the ability to track activity and more. 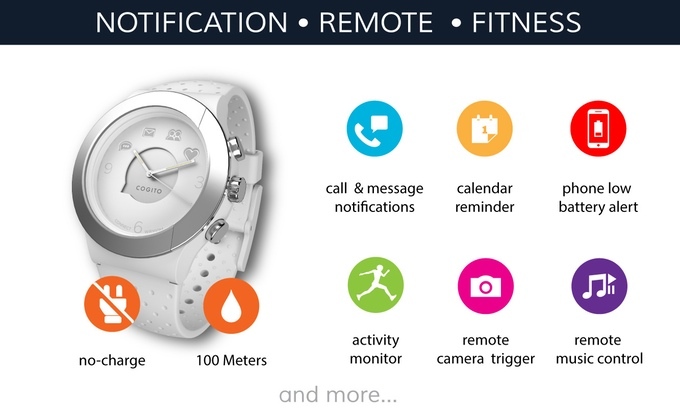 Being called the, “beautifully connected watch,” COGITO FIT counts steps in a smarter way than some of its competitors by breaking down activity levels and offering insights on how to add more activity to each day. What’s nice about this element of the watch is that it doesn’t need the phone and app to keep working – it will synchronize when connected again. It also offers different options like counting steps, distance traveled, calories burned, activity levels, and will even send you notifications to get moving when you have been inactive for a period of time. (This makes for a great feature for those of us who are chronic sitters, at a desk all day, to remind us to stand up and keep circulation in our legs). Beyond the obvious naming convention of the ‘FIT,’ the device also has been updated to fit with different outfits, styles and moods. 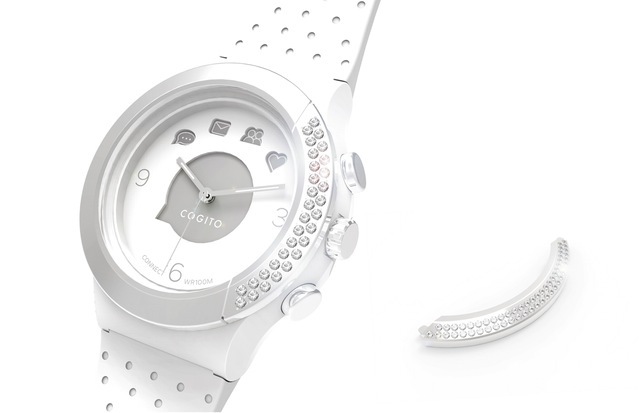 New color choices, interchangeable straps and plug-ins for the face of the watch were announced. Want to learn more about the latest in wearable technology? Be sure to attend Wearable Tech Expo, at Caesar's Palace in Las Vegas, August 17 – 20. Stay in touch with everything happening at the event -- follow us on Twitter.